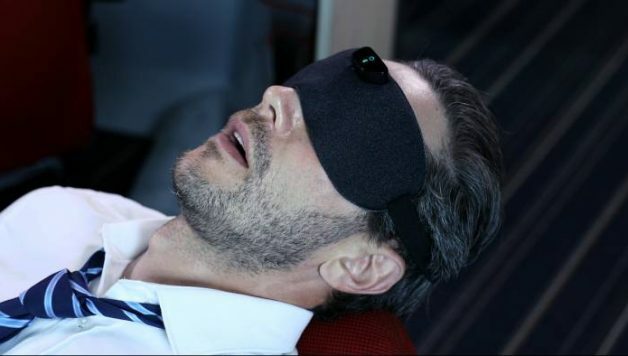 Kickstarter Project Offers Anti-Snoring Eye Mask No ratings yet. If you have been looking for a stop-snoring product that offers a new-take on the old ‘snoring problem,’ then you might be in luck. This device, called the Snore Circle, essentially a smart anti-snoring eye mask, is certainly unlike anything we’ve seen before. But we were surprised to learn that this is actually the fourth version of the product to hit the market. Right now, they are being featured on KickStarter.com, where you can pre-order them for just $79 USD plus shipping. But what are they and how do they work? What Exactly Is the Snore Circle? The Snore Circle is a stop-snoring device that looks a lot like a pair of sunglasses from a distance… though you will quickly realize that there is a lot more to them than this. The device is made from a special foam material that you wear over your eyes—not so unlike how you would wear a sleeping mask. But, it also has a small electronic, rechargeable sensor located at the top of the nose-ridge, and this sensor is capable of detecting when snoring occurs. When it does sense snoring, small vibrations (there are 36 different levels of vibration) are sent out through the device to gently prompt your muscles to naturally respond via bone conduction techniques, and this will stimulate you to stop snoring. Plus, it is a smart device… meaning that you can connect it to an app and get readings about your sleep and snoring that you can review the next morning. The entire device weighs just 32g, so it is super portable and comfortable. The Snore Circle comes from a Chinese-based company that goes by the name of VVFLY Electronics. The company used Kickstarter to fund another version of the product in 2016, and actually raised an impressive $285,000 for it… and now, they have improved it and are back for another go-around. This is the fourth generation of the product, which has seen quite a bit of success in each one of its iterations. The first three versions alone boast 200,000 customers, which is certainly not bad. You can pre-order the product on Kickstarter, though the campaign itself is not currently open to new backers, as of the time that this was written. The device comes with a 1 year warranty and a 30-day money back guarantee as well, which is pretty awesome. What Do We Think About This Anti-Snoring Eye Mask? We haven’t had a chance to get our hands on this one, so we cannot really weigh in with much of an opinion on it quite yet. Nevertheless, it is quite a new take on the anti-snoring product front, and we are intrigued. 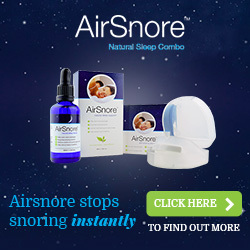 We love the idea of a product that uses such advanced technology to help solve the snoring problem. We have been seeing smart-technology employed more and more as new snoring products hit the market… and we like the direction they are headed in. But this? This seems to take things to an even better level than previous smart products—so we are excited to see how it does. The concept seems sound, and it definitely seems to have a good reputation… so if you want to try your luck, you might want to check it out. It would be much easier and a little less invasive to use than an MAD or a TSD… but will it hold up and work well in the long run? That might be the biggest question to ask. 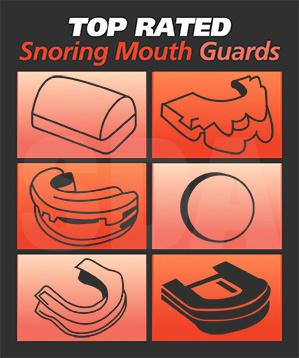 Snoring Devices Australia is dedicated to providing detailed product reviews of anti-snoring devices available in Australia. We also regularly research and publish timely information about snoring and sleep from around the world – to help you and your loved ones achieve a better night’s sleep.